Deep in the Maine woods the wreckage of a plane is discovered by two hunters. Inside it is empty except for a bag of money and a list of names. Troubled by the sense that they are being watched by malign spirits, the two hunters flee to the safety of a local town. There they keep their silence, despite the interest of a beautiful woman in sightings of a plane, until one is dead and the other dying. On his deathbed, the aged hunter tells his daughter who then seeks out Charlie Parker, a detective with a history of tangling with the supernatural, especially fallen angels. Parker sets out to find the plane in the hope of recovering the list of names - people who have supposedly sold their soul for material gain. He is not the only one seeking the list, however, with forces of good and evil gathering to locate the plane, and two entities already circling the site and each other. 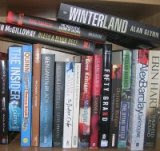 My impression from reading several of John Connolly’s books is that he’s a natural born storyteller. His writing appears effortless rather than being worked at: it’s engaging and evocative, possessing a strong voice which seems to talk directly to the reader - it sounds as good read out loud as it reads on the page. 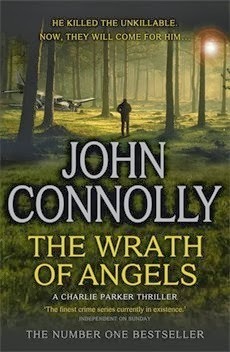 The Wrath of Angels is the eleventh book in the Charlie Parker series and the characters are now very well established, with several beyond his sidekicks Louie and Angel making an appearance, as is the kind of case that Parker finds himself entangled in - and he is always entangled, rather than simply investigating. As ever, the characterisation is nicely realised, with some very nice verbal interchanges, there is a deep sense of place with respect to Maine, and the story is infused with supernatural elements without them over-dominating the story or pushing the tale off into fantasy. The plot is interesting and engaging, and infused with a darkness and underlying tension, but is rather straightforward and a little too linear, especially towards the end. Indeed, the ending seemed a bit rushed, the denouement being rather too neat. Nonetheless, The Wrath of Angels is a very solid addition to the series.